Siyi Huang is currently a JSD candidate at Cornell Law School. 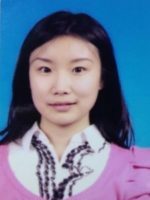 Her research interests concentrate on comparative legal theories, the functioning and evolution of the court system of the European Union, the Chinese legal system and political culture, and the various political implications of courts’ reforms that have taken place in these two legal systems. Her doctoral study focuses on the judicial appointment practices in the European Union and in China, and her current academic endeavor is to theorize the experience of transnational judicial regimes in Europe, thereby shedding lights on other multi-layered legal regimes. In addition to various articles written in Chinese, she has published an article The Cosmopolitan Goal (Ideal?) of Comparative Law: Reassessing the Cornell Common Core Project in The Cambridge Journal of International and Comparative Law (CJIC) in 2014, and one of her works on the Chinese Yuanezhi system will be published as a chapter of a book project on Law and Development in China and Vietnam in 2018. As a JSD student, Siyi was a winner of the CALI Award at Cornell Law School in 2013; she served as the President of the JSD Association of Cornell Law School from 2014 to 2015 and was the organizer/coordinator of various international academic conferences. Prior to becoming a JSD candidate at Cornell Law School, she obtained her LL.M. degree at Cornell Law School and her LL.B. degree from Peking University Law School. Theorizing the Politics of Judicial Appointments in Europe. This project introduces this special issue of judicial appointment by contextualizing European integration theory within the studies on the appointment process for supranational courts, with a particular focus on the European Court of Justice (“the ECJ”) and the European Court of Human Rights (“the ECtHR”). The process of judicial appointment is the first crucial step for a court to be functional and effective. However, there are important empirical and theoretical gaps in the study of judicial appointments for these two transnational courts, which necessitates a return to existing integration theories. This research project traces the dynamics of legal integration mainly distinguished in the political context by existing theoretical frameworks, in particular, intergovernmentalism and neofunctionalism, and reveals how they have been, or can be, used to explain the process for the appointment of judges to the ECJ, and as a matter of comparison, to the ECtHR. In addition to a theoretical restructuring, synthesis, or even critique, of existing theses, an examination of the historical, social and political backgrounds behind the transformation of the judicial appointment process in these two supranational court systems will be conducted. That is to say, this project will examine the conditions that have systematically influenced the establishment and operation of the Article 255 TFEU Panel and the Advisory Panel – the two expert panels set up at the supranational level to ensure the professional qualities and integrity of member state nominees, and it will survey the special forces that explain the different outcomes that these two panels have so far achieved in terms of their authority, autonomy, and their powers and effectiveness. In doing so, this study also aims to both test and enrich existing theoretical approaches to European integration.